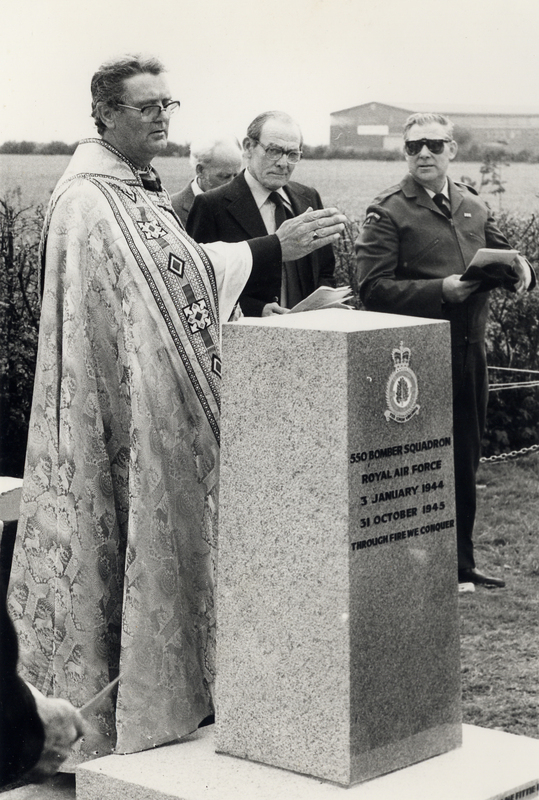 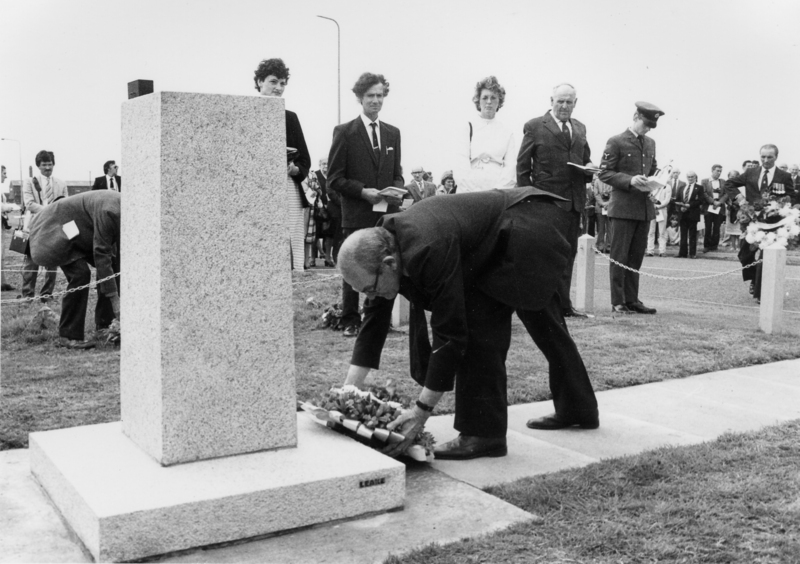 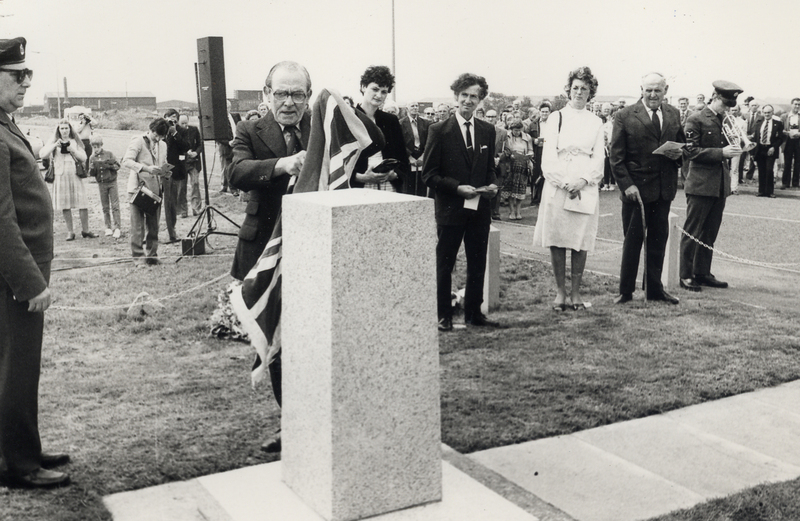 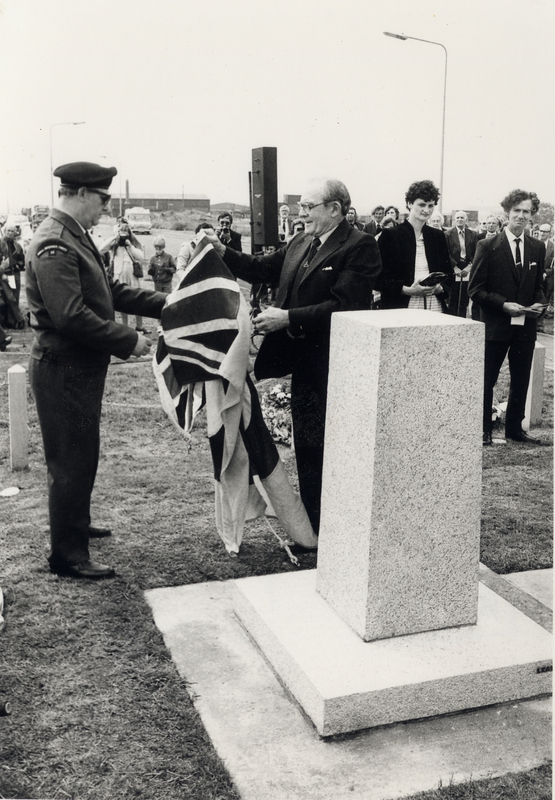 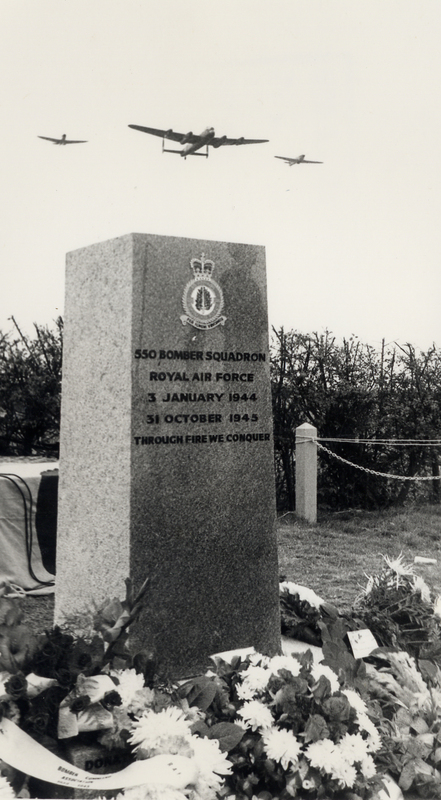 The Dedication of The Memorial Stone took place in 1982. 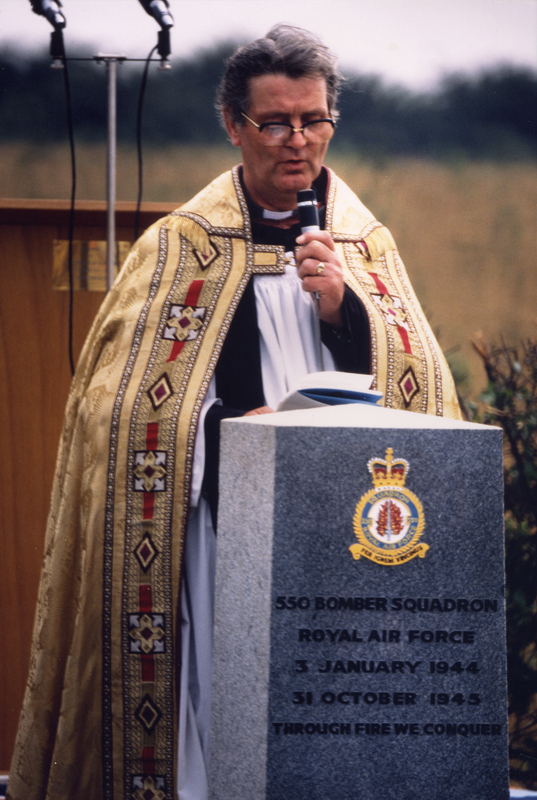 The Order of Service details the formal part of the ceremony, then those gathered adjourned for refreshments. 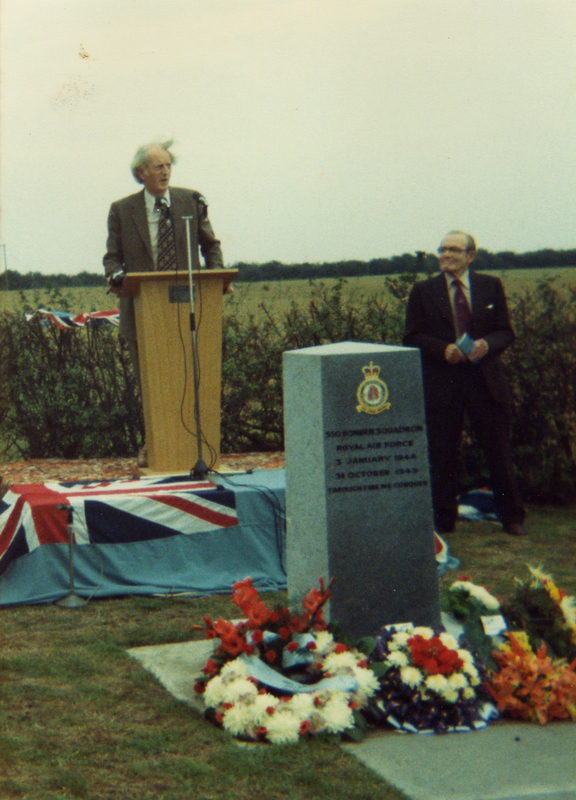 The Memorial Stone remains the focal point for the Association annual reunion and remembrance events. 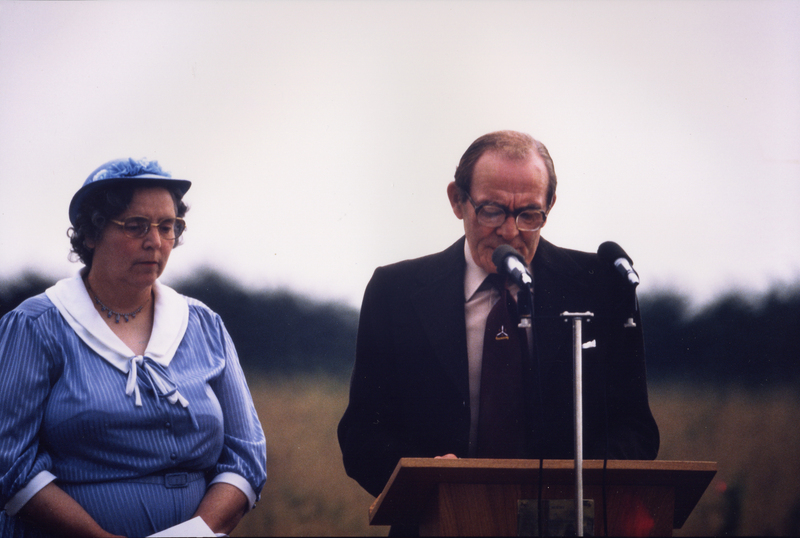 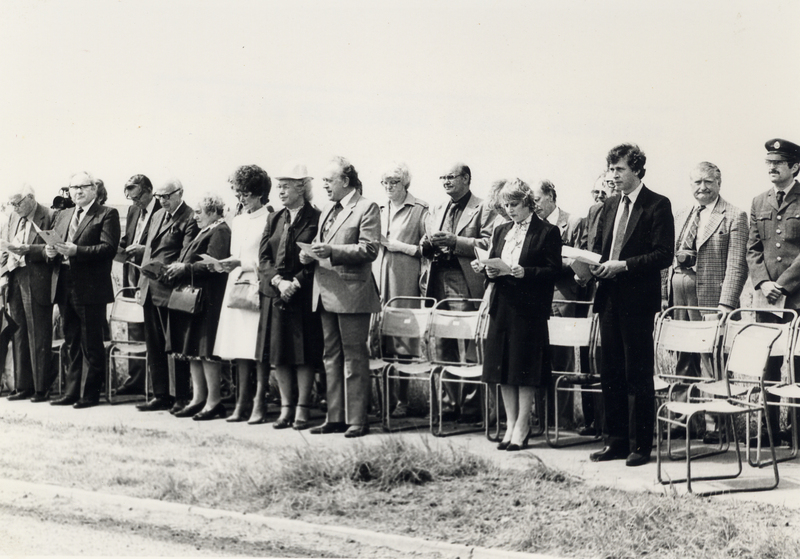 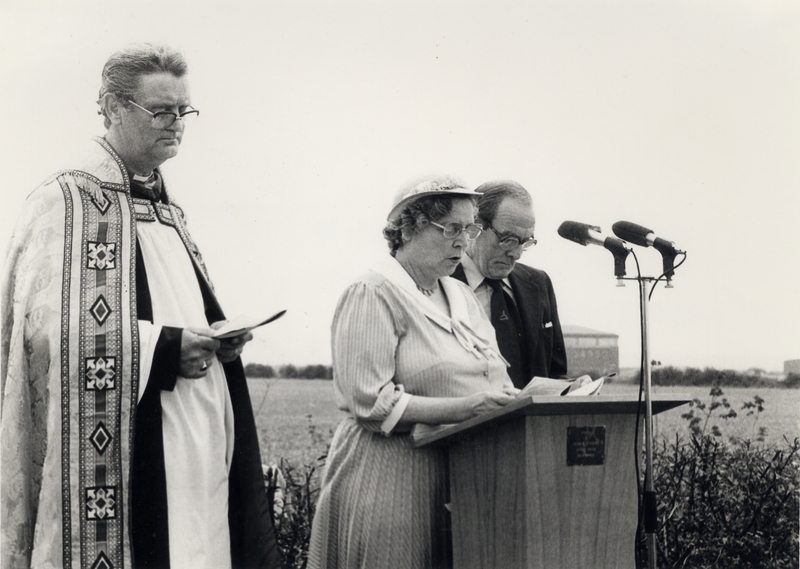 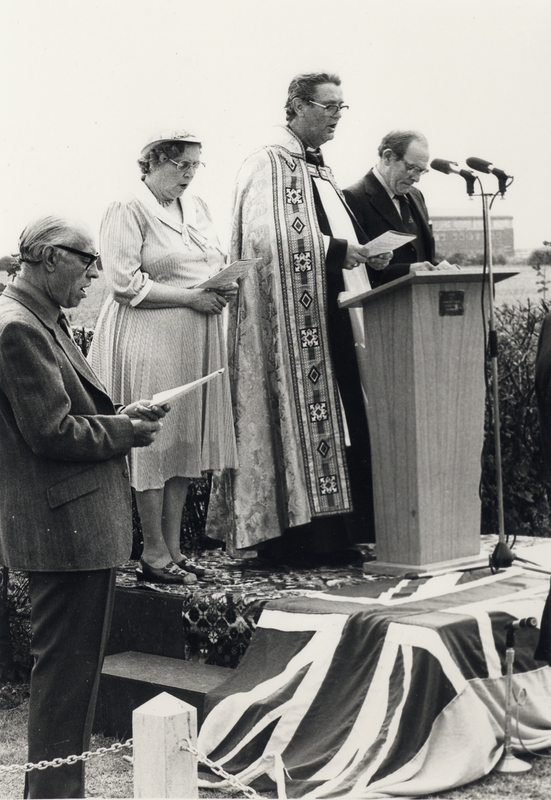 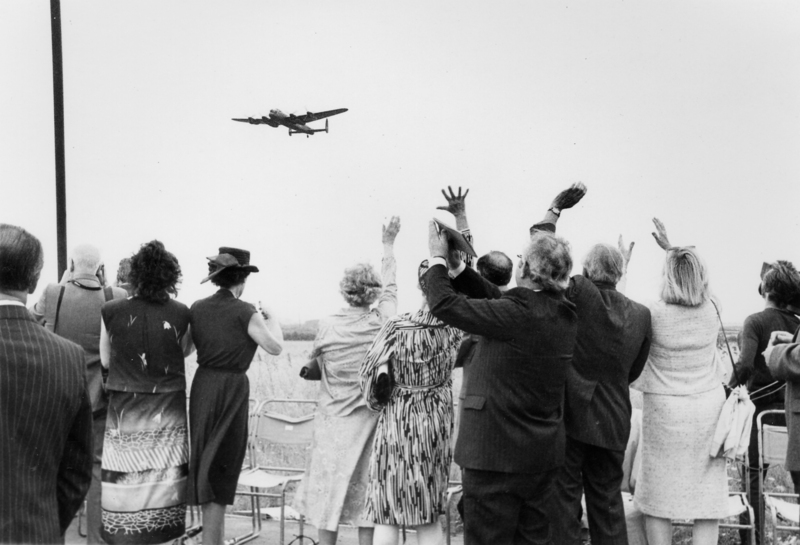 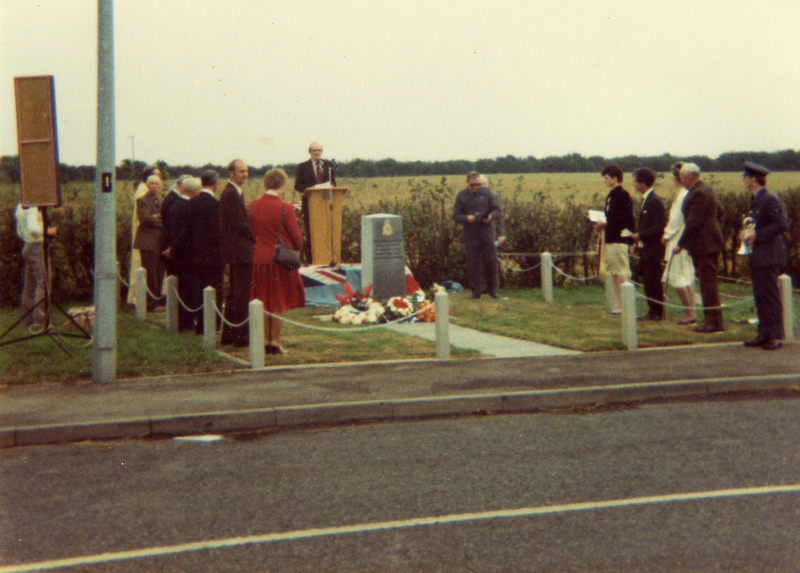 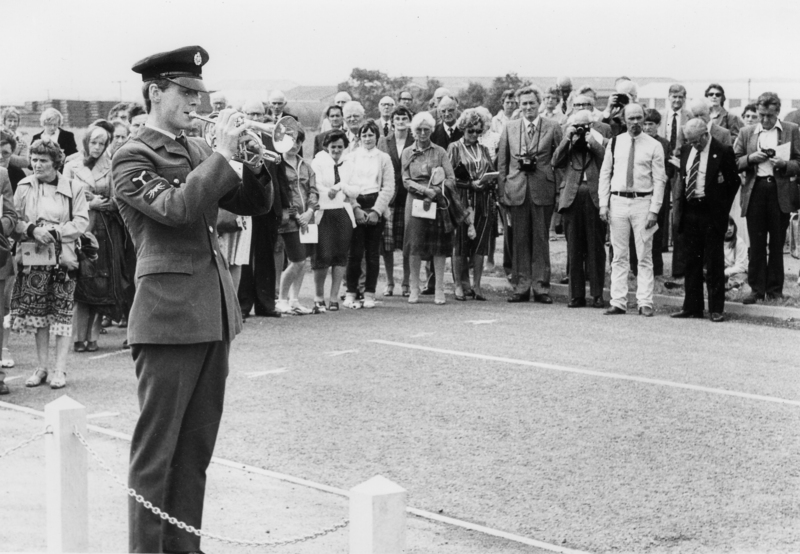 The photographs are from the dedication ceremony at North Killingholme in 1982. 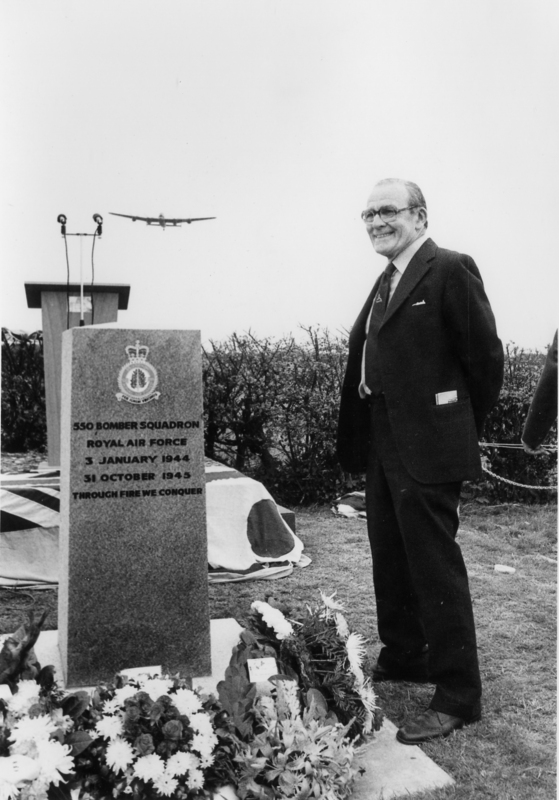 Wing Commander J J Bennett, DFC & Bar - first Commanding Officer of 550 Squadron. 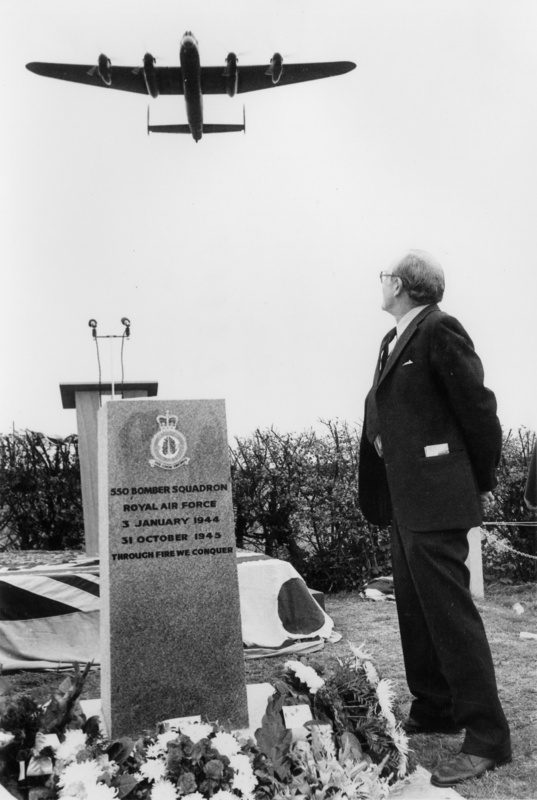 NB: some of the pictures are quite large; up to 3.5MBytes - so if you have a slow connection they may take quite a long time to download! 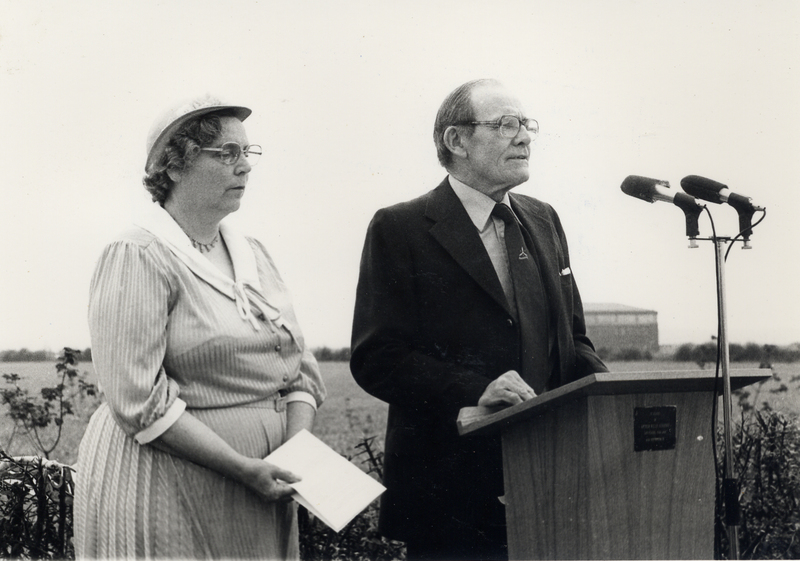 High Res: 1.6Mb Glanford Borough Council was at the time the local authority responsible for the area. 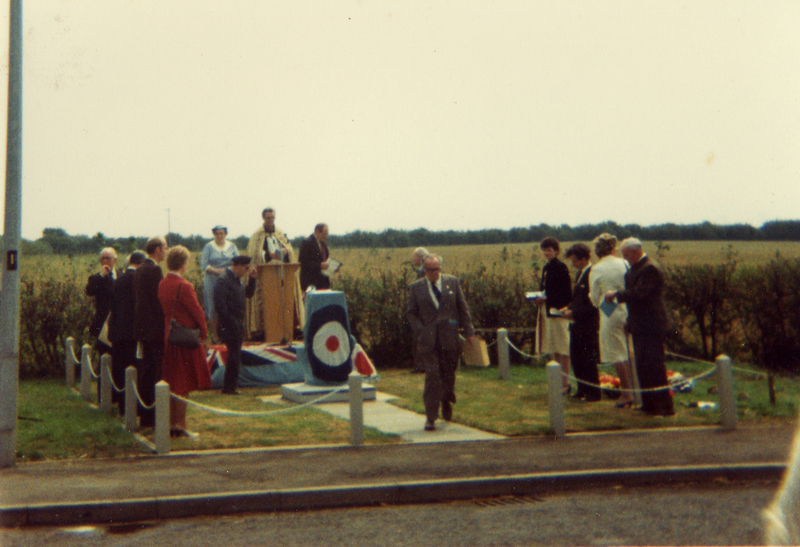 Members & officers of the Council were invited to the ceremony. 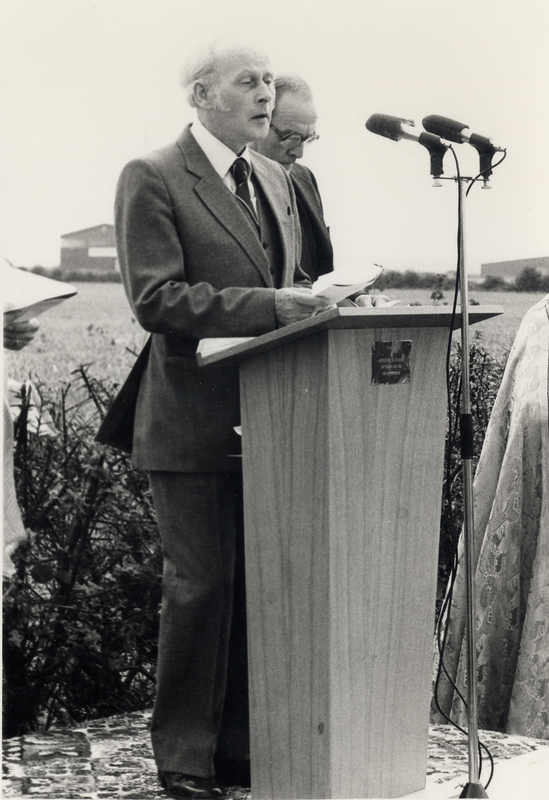 The local MP at the time, Michael Brown (Con) was also in attendance.